Even in death, the Beastie Boys’ Adam “MCA” Yauch is refusing to sell out to advertisers. According to a Thursday report by Rolling Stone magazine, the iconic rapper included a provision in his recently filed will that prohibits the use of his music and “artistic property” for advertising purposes even after his death. “Notwithstanding anything to the contrary, in no event may my image or name or any music or any artistic property created by me be used for advertising purposes,” Yauch wrote. While it is unclear if this provision applies to all of the Beastie Boys’ recorded output, this is not the first time that Yauch’s wish to not have his work used in advertising has been made public. In fact, a set of lines uttered by the rapper in the Beastie Boys’ 2004 single “Triple Trouble” spoke directly to this issue. Fortunately the other members of the Beastie Boys, Adam “Ad-Rock” Horovitz and Michael “Mike D” Diamond, also seem committed to upholding deceased bandmate’s wishes. Just last week the pair along with Yauch’s estate filed suit against the makers of Monster Energy Drink for using their likenesses and music in promotional videos without consent. Though a post by trusts and estate lawyer Wendy Goffe on Forbes.com has questioned the actual legal validity of the request in Yauch’s will, even Goffe admits that one Yauch’s final wishes was made for nothing but noble reasons. 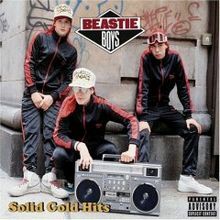 For more information on Adam Yauch and the rest of the Beastie Boys please visit http://beastieboys.com/. As reported by Rolling Stone magazine, Adam “MCA” Yauch one of the founding members of iconic hip-hop group the Beastie Boys passed away Friday at the age of 47. Yauch, who had been diagnosed in 2009 with a tumor in his salivary gland, had been in treatment for cancer for the last several years, though it is unverified as of this writing whether it was that disease which ultimately caused his death. He is survived by his wife Dechen and his daughter Tenzin Losel, as well as his parents Frances and Noel Yauch. While I could go on and on listing all of Yauch and the Beasties’ accomplishments (and there are many of them), I would only be echoing what is already being said all over the Internet and the rest of the world. Instead, I wish to simply use this space to highlight my favorite Beastie Boys memory in honor of a fallen musical pioneer. Sure, the Boys may have progressed far past their wild youth and become mature artists after the release of their debut album Licensed to Ill, but to me they will always be that crazy trio you wished you could invite to a party, no matter the eventual consequences. Remember, no sleep until heaven Adam. May you get to kick back with the Dalai Lama and cold bottle of Brass Monkey. There will never be another who could rhyme the rhyme quite as well as you. Mahalo. For more information on the Beastie Boys please visit www.beastieboys.com.